RSTco. FURNITURE & MILLWORK - reSAWN TIMBER co. This selection represents the materials the we frequently work with. Various finishes and finishing techniques are represented as well. Additional species of both newly harvested woods and reclaimed woods are available. Most often we find clear finishes are desired to showcase the natural beauty of the wood, however custom finishing is also offered. RSTco. is a team of skilled craftsmen dedicated to creating beautiful, modern solid wood furniture. Founded in Buckingham, PA in 2007, reSAWN TIMBER co. started as a storefront showroom offering sustainable finishes for the architectural and design community in the Philadelphia area. reSAWN provides new and reclaimed wood products for flooring, wall cladding, ceilings and custom projects with a focus on the specification market. RSTco. was created to distinguish our increasing work with custom millwork and furniture. The founders and craftsmen of RSTco. have been creating furniture pieces for private customers for 30+ years and reSAWN has grown to a national presence with sales reps and projects around the USA and abroad. We continually strive to deliver creative solutions for individual project needs, and to remain at the forefront of our design-driven industry. Some of our clients include Google, Amazon, Jack Rogers, Air BnB, PNC, the University of Delaware, the University of Pennsylvania, the Kimmel Center, Keurig, Ovolo Hotels, flagship stores for Citizen Watch and Radio Shack, as well as many distinguished private residences. All RSTco. furniture is custom built and finished in our woodshop from locally sourced and sustainably harvested wood species. we prefer and specialize in solid wood construction as well as using traditional joinery wherever possible. 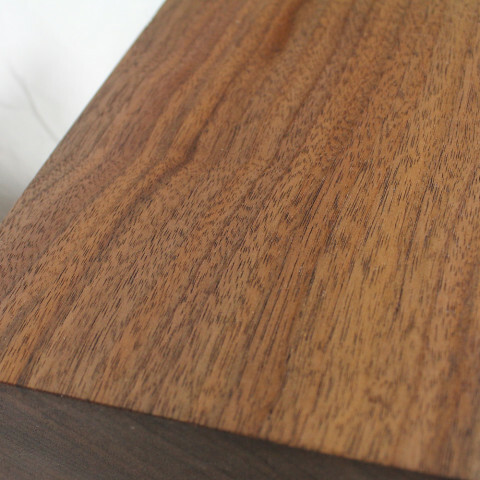 we offer a variety of finishes that are both durable and complimentary to the wood. other media in addition to wood are often incorporated into designs such as steel. With deep roots (both literally and figuratively) in the sustainable organic farming community in Bucks County, PA – we are committed to being a business that values people, place and the environment. In an age when manufacturing is increasingly outsourced, we are proud to offer furniture made with domestic hardwoods and reclaimed woods from the USA.